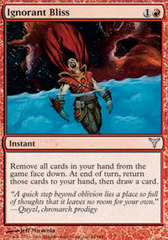 Card Text: Discard a card at random. 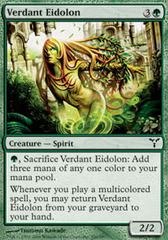 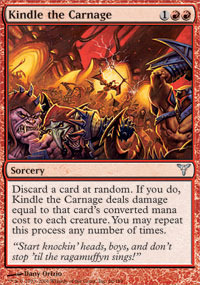 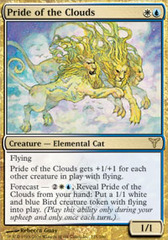 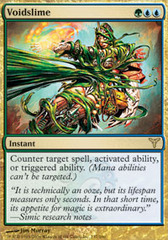 If you do, Kindle the Carnage deals damage equal to that card's converted mana cost to each creature. 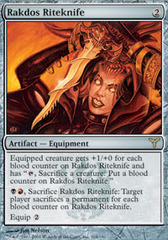 You may repeat this process any number of times.